Elizabeth J Interiors offers comprehensive interior design services for residential spaces for clients living in Ann Arbor and surrounding areas. Our firm is happy to help you in designing just one room or an entire home. Our work encompasses residential, new construction, and renovations. Each project reflects our individual client’s lifestyle and design aesthetic, ensuring each space is inviting and livable. 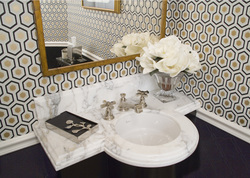 Elizabeth J Interiors brings exceptional project management to each client project. We build client/designer relationships, to ensure our clients’ wishes are met—and then surpassed. We are attentive to project budgets and schedules and will creatively solve problems. We want to make a positive, lasting contribution to our clients homes and lives. Elizabeth J Interiors works with our established network of vetted vendors and trades people on our client’s behalf. This oversight provides personalized services and reduces the time commitment needed from our clients during the renovation process. Our company attends world-renowned trade shows to guarantee we are showcasing the latest designs.